Access hundreds of useful resources on the Web that will save you time. Discover the comprehensive tools that will make your life as a human resources or management professional easier. Find exactly the information you need to make smart decisions and implement winning strategies. Visit our selected suppliers, partners, and sites that we have chosen as the most useful for Canadian professionals, managers, and executives. 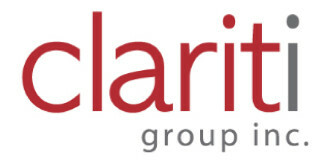 Clariti Group was born out of a fundamental desire to help employers and individuals make informed decisions around career, leadership, and workplace. Our mission is simple: to help individuals and teams achieve clearly great careers.